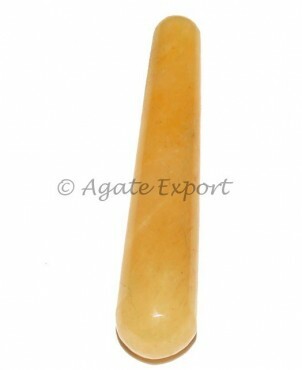 Golden Quartz Smooth Massage Point by Agate Export is 3-4in long. It helps to balance energy in the body. It can be used in reflexology or massage.